Castle Mountain internment camp, 1915. Banff, Alberta, is known for its picturesque scenery, majestic mountains and amazing wildlife. But it holds a darker secret. It was once home to the Castle Mountain Internment Camp, where 600 “enemy aliens” were held during the First World War, a large part of them Ukrainian Canadians. The internment of Ukrainian Canadians during the First World War came about as a result of the confinement of enemy aliens, from 1914-1920, under the terms of the War Measures Act. “Enemy aliens” were those citizens of nations legally at war with Canada who were living in Canada at the time of the war. Over 8,500 people, in 24 stations and camps throughout Canada, were interned. 3,138 were considered prisoners of war; the other 5,441 were civilians. Some 4,000 Ukrainian men, women and children at the time were citizens of Austro-Hungary, a country with which Canada was at war. Together with those in the camps, another 80,000 enemy aliens – the majority of whom were also Ukranian – had to carry identification papers and report regularly to the local police. 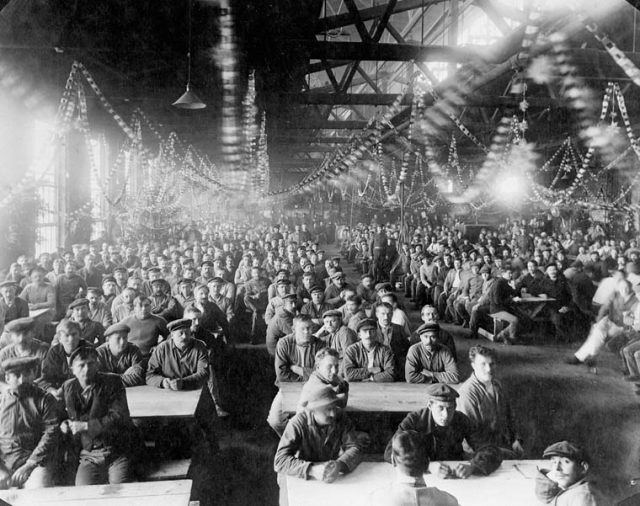 Christmas celebration at Internment Camp in Canada, W.W.I, 1916. Despite the advice of the British government to not discriminate against those citizens of the Austro-Hungarian Empire, Canada took a harder stance. Many of those interned were young men who were trying to leave Canada into the U.S. to look for work. However, it was illegal for them to cross the border at the time. And while most were immigrants, some were Canadian-born, or naturalized British subjects. It did not matter: they were seen as the enemy due to wartime feelings and martial fear. However, no serious threats to Canada ever materialized. Conditions at the camps varied, but as can be expected, were not particularly good. Castle Mountain, in Banff National Park, was especially bad. 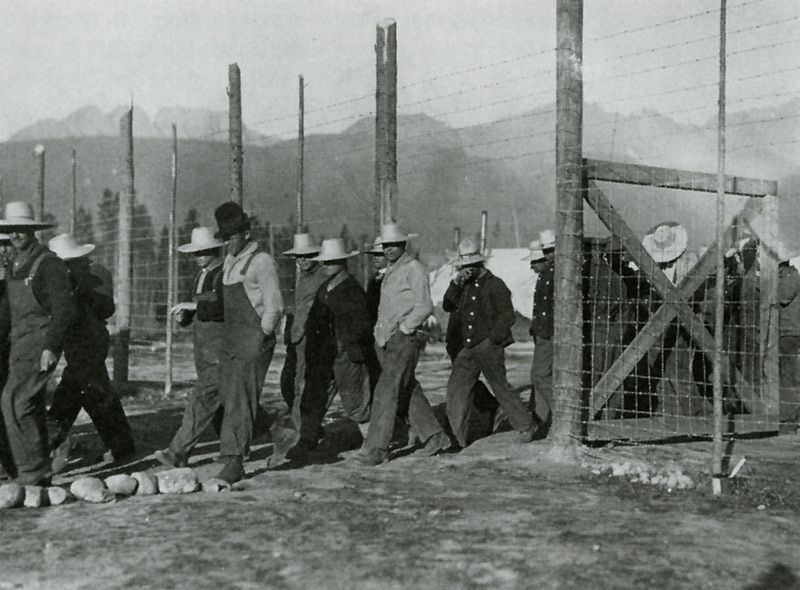 Many internees had been paroled into employment for private companies and government projects by 1917, such as the development of Banff National Park, but were still required to report regularly to local authorities. Internees were poorly paid – around $0.25 a day – and their own savings were confiscated. Both the federal and provincial governments benefited from the internees labor, and the original confiscation of their funds, a portion of which remained at the Bank of Canada when the internment operations ended in 1920. Camps ranged across Canada, from British Columbia to Nova Scotia. 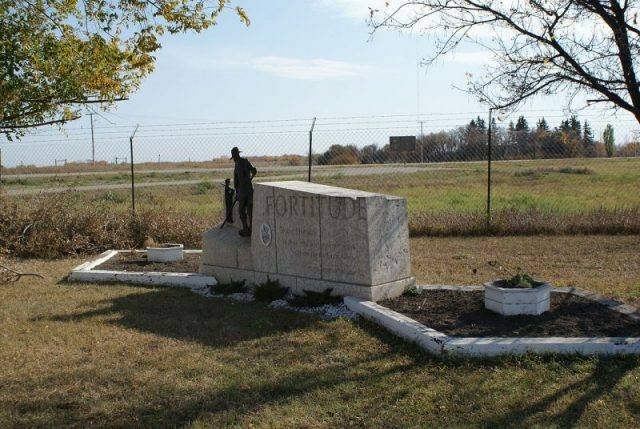 Most opened in 1914; the camp at Kapuskasing, in Ontario, was the last to be closed in 1920. Of the over 8,500 people interned, 109 died of various injuries and illnesses, while 6 were killed trying to escape. Not surprisingly, some went insane or committed suicide as a result of their internment. 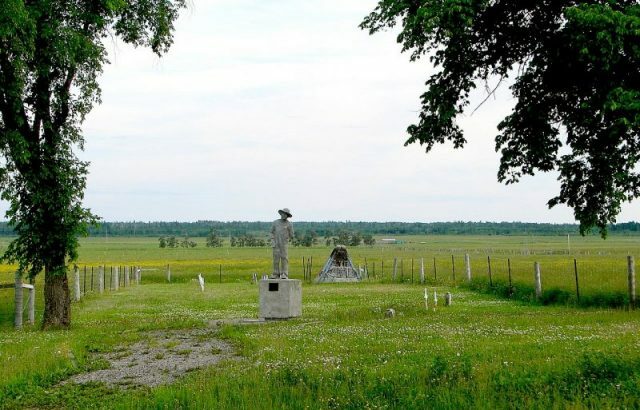 The internment has left lingering, painful scars and since 1985 the Ukrainian Canadian community has been seeking official government acknowledgment of their history. In November 2005, Bill C-C331, the Internment of Persons of Ukrainian Origin Recognition Act, finally acknowledged the internment of Ukrainian Canadians during the First World War, calling for a negotiated settlement between those community members and the government. 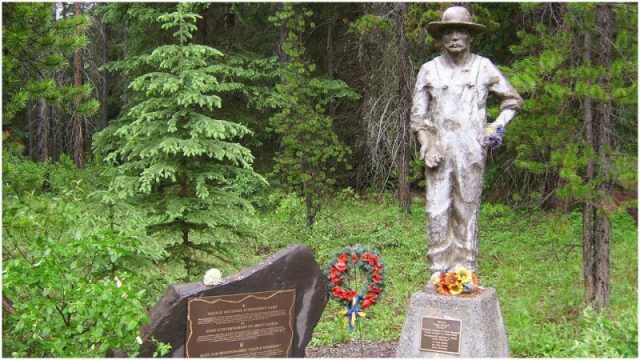 Commemorative plaque and a statue entitled “Why?” / “Pourquoi?” / “Chomu?”, by John Boxtel at the location of Castle Mountain Internment Camp, Banff National Park. In 2008, the Canadian government started a $10 million fund, called the Endowment Council of the Canadian First World War Internment Recognition Fund. Interest from this trust pays for projects to remember the experiences of those who were interned between 1914 and 1920, including Ukrainian Canadians, other “enemy aliens,” and those whose civil liberties and freedoms were suspended. There are currently 20 plaques and memorials across Canada to commemorate the internment and the lives that were affected by it, including 2 locations in Banff National Park. The last known survivor of the camps – Mary Hancharuk – was actually born in the Spirit Lake Camp. She died in 2008, at the age of 92.